A country marked by high media concentration, Brazil has seen its journalism market diversify in the last decade with the arrival of international organizations. 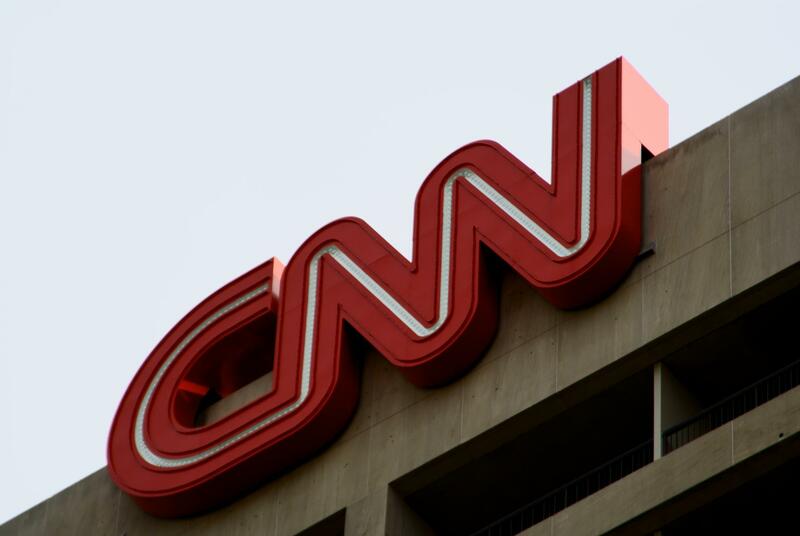 The latest example is CNN, which licensed its brand to a new Brazilian company — with a promise of 400 new jobs for journalists. In recent years, the Portuguese-speaking country has received editions of The Intercept (which arrived in 2016), Huffington Post (2014), El País (2013) and Buzzfeed (2013), which have joined international outlets already in operation in Brazil, like Vice and the BBC. And these international companies have arrived despite legislation in the country that limits foreign ownership of media companies. In 2016, the National Association of Newspapers (ANJ) filed an action of unconstitutionality with the Federal Supreme Court (STF) asking for confirmation that the law requiring journalistic and broadcasting companies to have at least 70 percent Brazilian capital also applies to digital sites, as reported by Folha de S. Paulo. However, that case is still pending in court. Executive editor of The Intercept Brazil, Leandro Demori, believes that interest in Brazil began to grow before the 2014 Olympic Games, when there was a rush of foreign organizations to set up offices or correspondents in the country. Although international attention has declined after the competition, recent political developments in Brazil and Latin America have been responsible for turning the world's eyes back to the region, Demori said. This year, Argentina, Uruguay and Bolivia will go through important general elections, and Venezuela remains immersed in a crisis that has shaken the global geopolitical scene. In Brazil last year, voters chose a president from the right after more than a decade of left-leaning administrations. The new government has been marked by a tense relationship with the press. International outlets regard President Jair Bolsonaro as part of the far right. According to Elizabeth Saad, professor at the University of São Paulo (USP), for a long time the Latin American market was ignored by the big media conglomerates. This would turn positive, however, as journalism in the region sought to innovate to use local potential, the professor said. "Latin American journalism has become a strong and very visible field, and it attracted glances from those who did not look at us," Saad told the Knight Center. "In addition, the Latin American audience is very significant in terms of business. So there are these two sides." Today, most Brazilian media are in the hands of groups of families. A 2017 study by Reporters Without Borders (RSF) and Intervozes put the country on "red alert" because of the high concentration of media audience and ownership. The survey showed that five families control 26 of the 50 outlets with the largest audience in Brazil. "Historically, the mainstream media in Brazil have always been linked to family groups," he told the Knight Center. "With the arrival of the international organizations, at first, media were threatened. Today it is an imposed situation, there is no way to be closed. What they must do is try to limit the damage." Yet, as mentioned previously, there are attempts by national organizations to clarify whether digital sites fall under the same ownership rules regarding foreign capital as other journalistic outlets. When ANJ filed a lawsuit with the Federal Supreme Court in 2016, they were asking for an opinion on whether international news sites also must adhere to Article 222 of the Federal Constitution. Beyond limiting foreign capital in media companies to 30 percent, the law says that the "editorial responsibility and the activities of selection and direction of the programming broadcast" is also restricted to citizens of Brazil. ANJ's executive director, Ricardo Pedreira, told Folha de S. Paulo at the time that the performance of foreign media companies in the country was unfair competition, since they can raise funds abroad. "They are not here under the same conditions, so what we are looking for is that, to act in Brazil as a journalistic company, they fit into the Constitution," he told Folha. The editor-in-chief of HuffPost Brazil, Diego Iraheta, however, ensures that international organizations have come to the country to stay — the arrival of CNN in Brazil, he says, reinforces that perception, although CNN Brazil is only a franchise — a Brazilian company obtained the license to use the CNN brand. "It is understandable that established companies and segment leaders can demonstrate some discomfort with new players in their respective markets. That's called competition,” he told the Knight Center. "But there is demand from readers and consumers for more sources of information, for new languages, for different references." Iraheta emphasizes that, in an environment of much disinformation, the moment now is to strengthen journalism, not of "brawls between Brazilian and foreign companies." "I understand that the more sources of information, the more plural is the formation of public opinion. And, at a time when false news is rife, even endorsed from official accounts, linked to our governors, serious and responsible journalism, which must be honored by the media, is more important," he said. The Intercept Brazil was launched on Aug. 2, 2016, the first international edition of the U.S.-based online publication. The Brazilian newsroom is in Rio de Janeiro, with about 15 employees. The production, according to the executive editor Demori, is targeted more for the outside public than for the Brazilian, similar to the logic of a news agency. One of the main differences between The Intercept and other Brazilian outlets is financing. The site is a publication of First Look Media, chaired by eBay founder and philanthropist Pierre Omidyar. The business model is nonprofit, and The Intercept Brazil also looks for ways to diversify its income, with crowdfunding and membership projects. "In fact, we're more comfortable knowing we have a foundation that supports us and knowing we're not reliant on advertising," Demori said. "A lot of what we investigate we could not publish (in other outlets)”. Belonging to an international organization, however, is no guarantee of financial stability. An example is the case of Buzzfeed in Latin America. In Brazil, seven of the edition’s longtime employees were recently dismissed. "They were with me from the beginning, they built BuzzFeed in Brazil and, like the team that stays, they are the reason why Brazil is an important market," the editor-in-chief of the site in Brazil, Manuela Barem, wrote on Twitter. In Mexico, the news division of the media company was closed after almost two years in operation, as editor Íñigo Arredondo Vera announced on Twitter. This move follows the company's global strategy of cuts: founder and CEO Jonah Peretti announced that he would reduce his workforce by 15 percent. In January, Verizon Media, the parent company of the Huffington Post, also announced cuts of 7 percent of employees globally. Chief editor Iraheta, however, says the media conglomerate sees Brazil as "an absolutely promising market" and cites partnerships with brands to conduct editorial initiatives. Huffpost Brasil was launched on Jan. 28, 2014. Currently, there are nine journalists in the Brazilian newsroom, who produce news in the verticals of Politics/News; Women; LGBT; Lifestyle; Food; and Entertainment. "We sympathize with our colleagues at BuzzFeed who have gone through this rather difficult time of cuts," Iraheta said. "We faced the same process in early 2017, with the end of the joint venture with Grupo Abril. At the time, more than half of the positions were cut." Yet, despite these recent cuts, the new company behind CNN Brasil continues to build out its newsroom. Américo Martins, head of journalism for Americas and Europe at BBC and former president at EBC, recently was hired as vice president of content. The channel also brought on three names from TV Record: Leandro Cipoloni, Virgilio Abranches and Fabiano Falsi. Journalists around the country are waiting to see how the rest of the 400 spots will be filled.